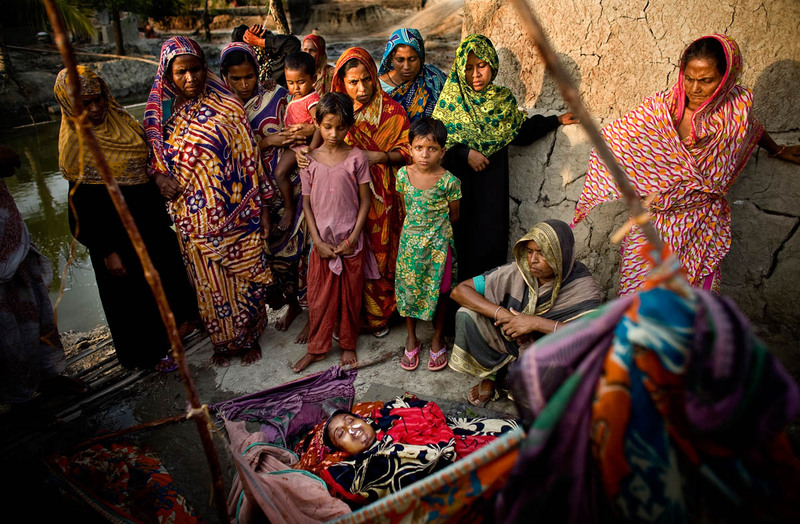 The funeral for Nasima Akhter is seen in the Sunderbans May 2010. In the morning, after finishing all her household work, Nasima and her husband Khalil went crab fishing in the forest. While they were fishing on the banks of the forest a tiger snuck up from behind and pounced on Nasima. Khalil drove the tiger away with a tree branch, but could not save his wife. As she lay dying on the river shore she hugged Khalil made him promise never to come to the forest again. She whispered to him, "What will happen to our children if a tiger attacks you?"